I used to call this annual post “Top 10 HeidiTown Highlights,” but I’m going to change it up this year because everyone loves a “Best Of” list, right? It’s a hard post for me to compose because every year seems to bring with it many incredible Colorado experiences. This makes it hard to boil an entire year down to ten major highlights, but every year I do it. This was a big year. 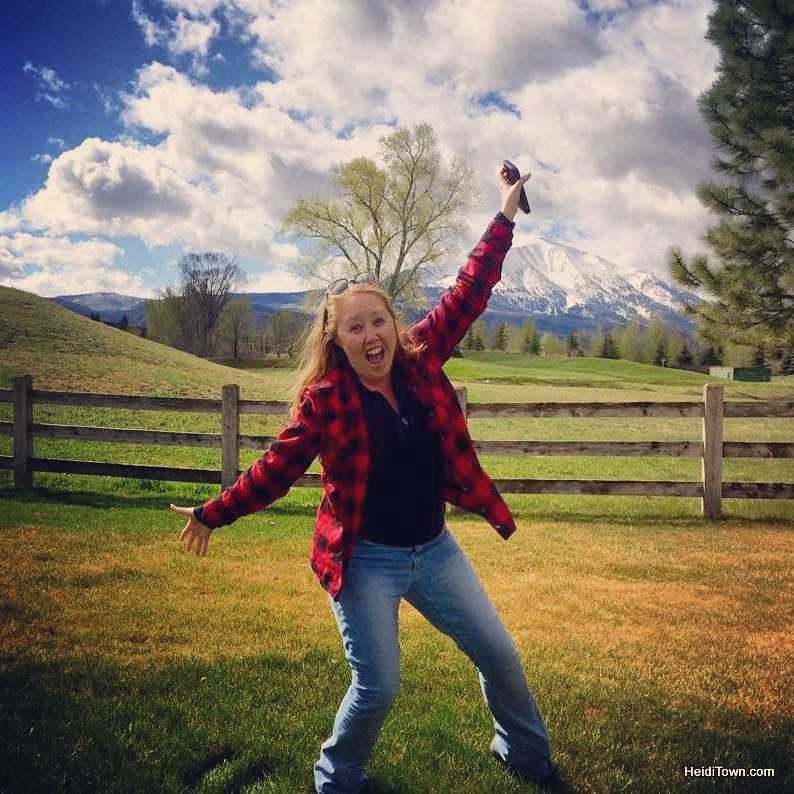 I turned forty and we traveled a lot – to every corner of the state and the middle parts too. 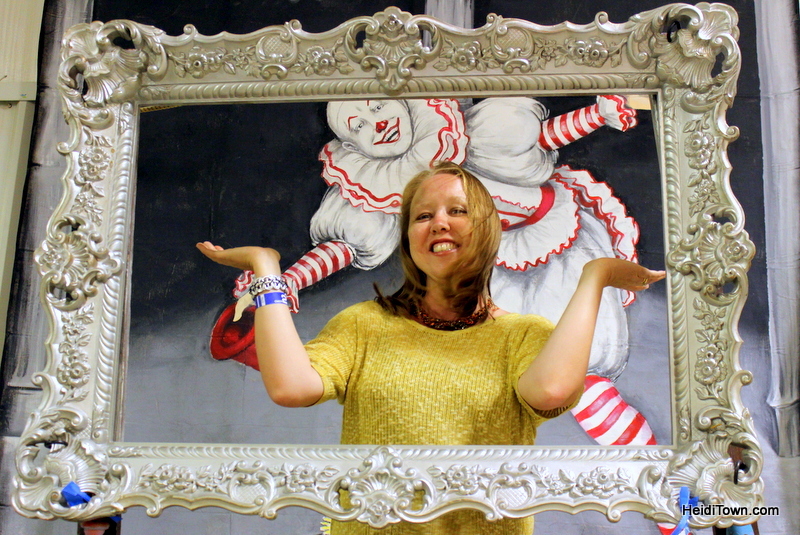 One of the major highlights was visiting Trinidad, Colorado (1) for ArtoCade, an art car extravaganza. This town blew us away. I love being surprised (in a good way) about a new place and I’m truly excited about the future of this friendly, quirky community. Trinidad, Colorado. so much potential! 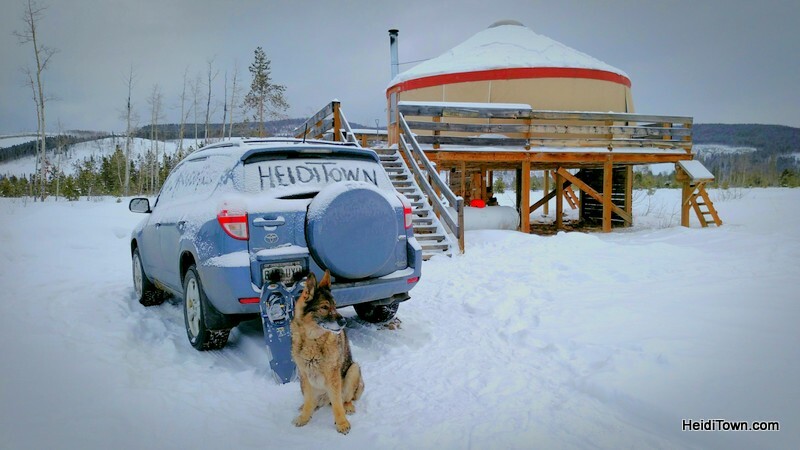 Another standout experience was staying at a Never Summer (2) yurt near Cameron Pass last winter with our old dog, Xena. We’d never stayed in a yurt, let alone during winter and it was terrific. I loved the smell of the wood burning stove and the feeling of total peace as I snuggled into our yurt’s queen bed. I didn’t even mind having to use the outhouse, something I usually hate with a fierce passion. Dog sledding at Snow Mountain Ranch (3) will go down in HeidiTown history as one of the Best Days Ever. If you have ever dreamt of dog sledding, do the 50 minute outing (for guests only). We were lucky to stay at Snow Mountain Ranch in the winter, and again this summer, and I have nothing but good things to say about the place. 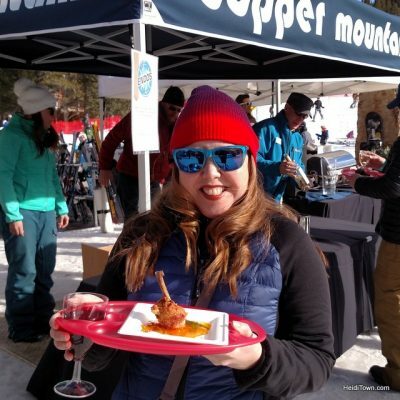 One of my favorite festivals last winter was Copper Uncorked (4). This slopeside wine event was unexpectedly delightful because my husband, Ryan, who could really care less about wine events had such a good time. The event featured wine and wings, and while the combination sounds a bit messy, it was totally awesome. I try not to cover events two years in a row, but I’m super tempted to return to this one again this coming March. Another memorable festival in 2016, was the Rio Frio Ice Fest (5) in Alamosa. 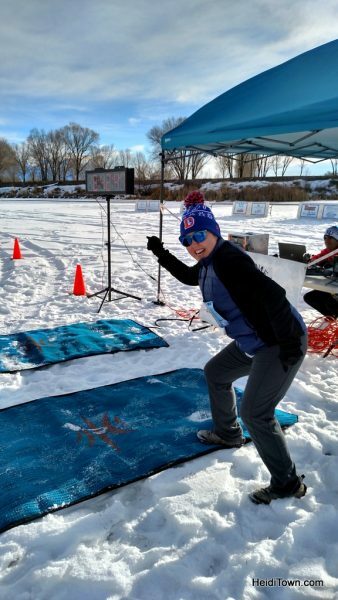 I ran my first 5K on the frozen Rio Grande River during this festival, and Ryan and I had so much fun eating our way through Alamosa during the event’s Grub & Pub outing. I’m going to squeeze Sand Dunes Swimming Pool into highlight #5, because we discovered it on the same trip. It is a highlight because, not only is it one of the most unique HeidiTown finds of all time, very few other travel writers have written about it. Nothing brings me more joy than being one of the first writers to explore a place, especially if it’s as quirky as the Sand Dunes Swimming Pool. One of my favorite hotel stays of 2016 was our night at The Westin Resort in Beaver Creek (6). 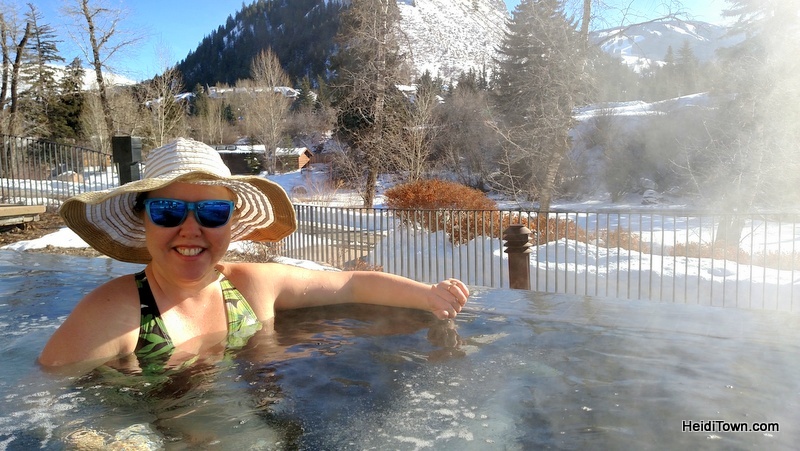 This was a trip for The Heidi Guide, my Mountain Living magazine online travel column, so maybe it doesn’t belong in this list, but it was such a standout that I’m adding it here. If I could, I’d live at this Westin property. Do I care that I’m not all matchy, matchy in this picture! Not at all. These saltwater hot tubs at the Westin are amazing. 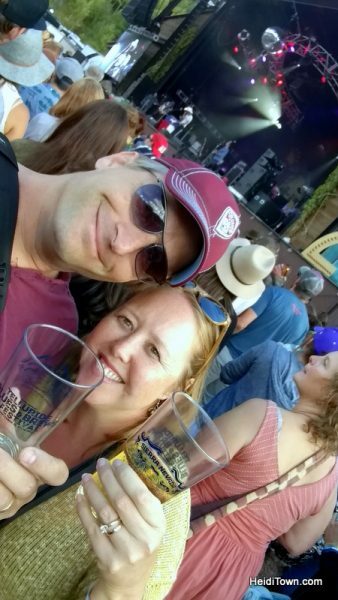 We spent a fantastic weekend in Telluride at Telluride Blues & Brews (7), this year. This festival not only lived up to expectations, it exceeded them – everything from the venue to the bands – it’s absolutely worth going. And we got to stay at one of our favorite Colorado hotels, The Peaks Resort. 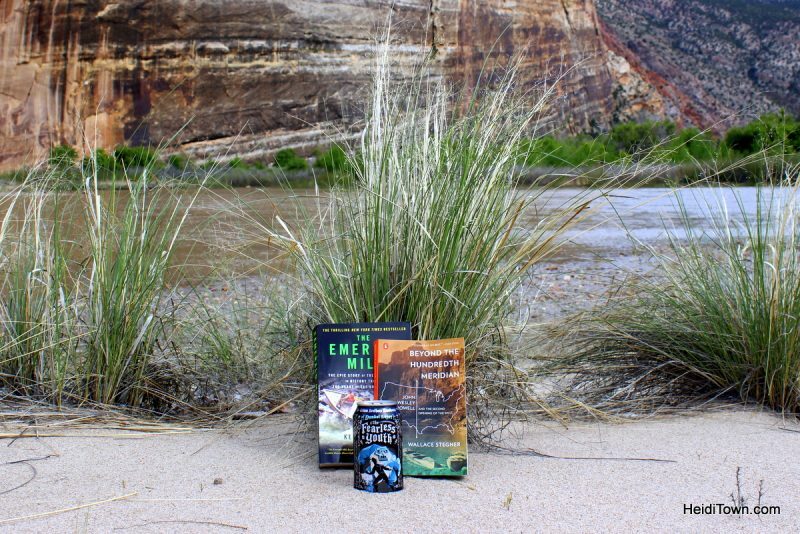 This year, we decided to go camping at Dinosaur National Monument (8) for our anniversary. 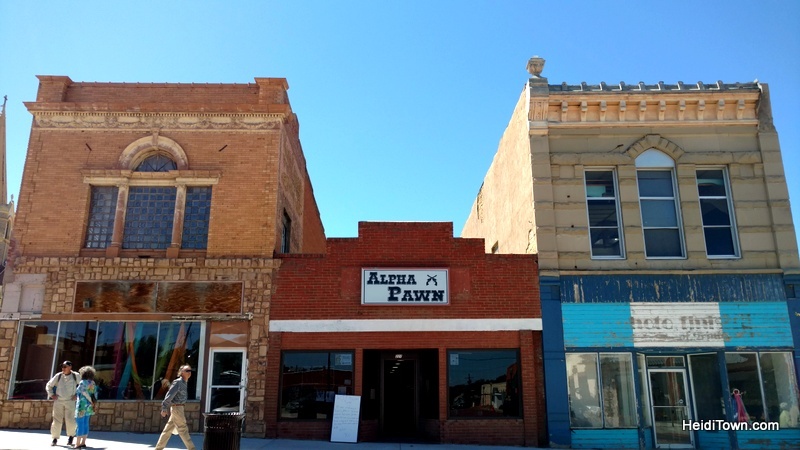 We were inspired by the books, “Beyond the 100th Meridian” and “The Emerald Mile.” The trip had zero to do with HeidiTown, although I knew I’d write about it, and I did. We camped at Echo Park for two nights, a place that’s not particularly easy to get to and is way off the grid. We took along our old dog Xena. It was an incredible experience, even our one-night stay in Rangely merited a HeidiTown post. Food plays a big role here in HeidiTown because who doesn’t like food? 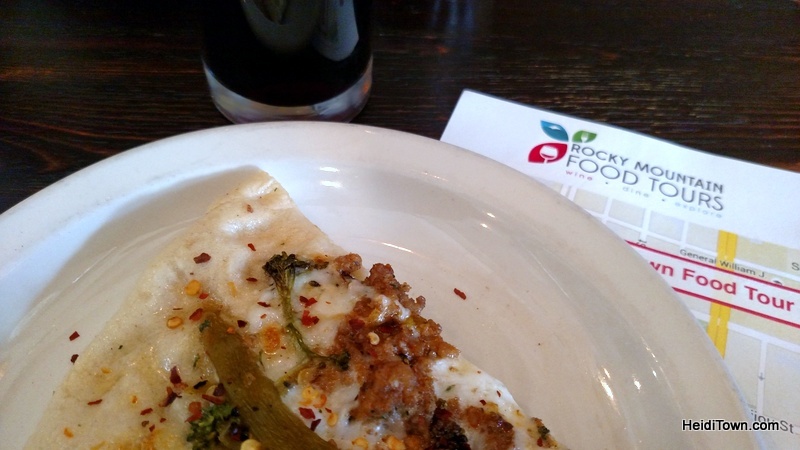 Rocky Mountain Food Tours (9) is definitely one of my top memories (and Ryan’s) from 2016. This was an outing like no other. We literally ate our way through downtown Colorado Springs and it was delicious. It’s hard to narrow down the last highlight of 2016, but I’m going to have to go with boating on Lake Dillon (10) with our friends Karen and Steve. This weekend of discovering Frisco was the perfect way to wrap up an excellent summer. This outing was a little nostalgic because I grew up with lakes and boats in the Pacific Northwest. It was also a reminder that just because we live in Colorado doesn’t mean we can’t get out on the water. So there you have it, 2016 will be a year that will go down in the HeidiTown record books as the best year yet. Please feel free to share your 2016 adventures in the comment section – I’d love to hear your “Best of Colorado” travel and festival stories! The Trinidaddio Blues Festival in Trinidad, Co was awesome in 2016. After a five year absence, they came back with a vengeance. And 2017 looks bigger and better. I have heard such good things about Trinidaddio (and I love the name)! We may have to put that one on the list for next year. Thanks for stopping by HeidiTown today and happy holidays to you and yours! Thank You and Happy Holidays to you !! !